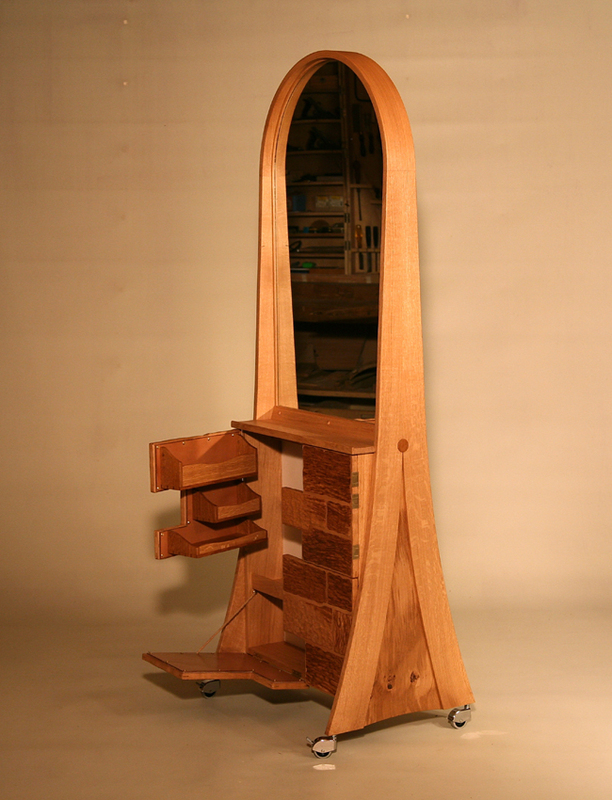 The mirror cabinet opens to reveal compartments lined with leather. Two-hundred-year-old Russia leather in the top pockets and oak-bark tanned leather in the others. The mirror is mounted on wheels so can be moved to catch natural light.